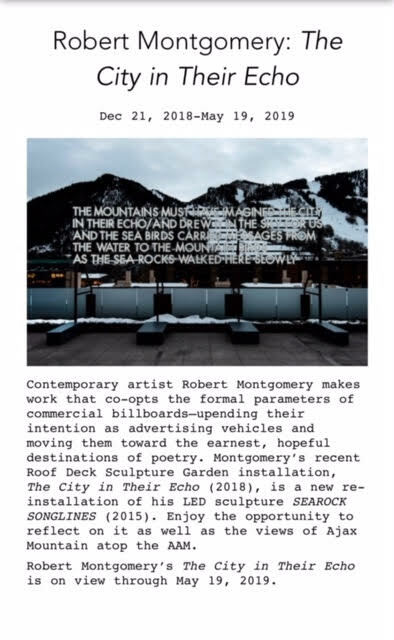 Rooting his practice in an avant-garde tradition similar to the Situationists, Robert Montgomery makes work exclusively for the public. Originally co-opting commercial billboards, the artist flipped the platform on its head to trigger our imaginations—away from consumer-oriented society and toward a more earnest, hopeful direction. 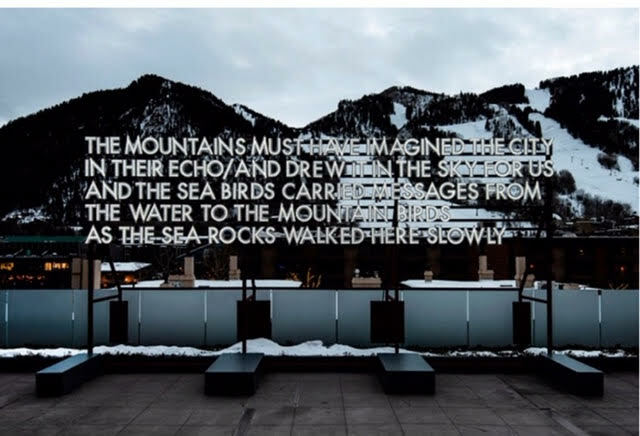 His poetic interventions are published outside gallery walls on billboards, LED light pieces, woodcuts, watercolors, and publicly burned fire poems—not only within urban cities, but also in majestic landscapes. Informed by history and attentive to the collective consciousness within specific locales, Montgomery’s texts, at times, pose universal and political questions, while at other points are intimate and fulfill his mission to “touch the hearts of strangers.” Without proposing solutions to the difficulties that plague contemporary life, Montgomery offers kindness to those who engage with his work, as if his words were conceived for each individual who stands before them.